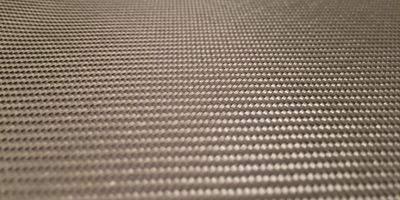 Basalt fabrics are produced for structural, electro technical and a specialized purposes. For structural uses, basalt fabrics are useful for producing structural basalt-plastics based on various thermosetting binders (for instance by laying out method). From these materials components automobiles, aircraft, ships and households appliances can be produced. 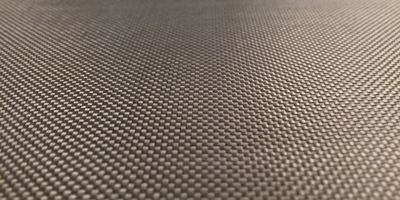 In the case of preliminary metallization of the fabrics, the resulting basalt-plastic acquires shield properties against electromagnetic radiation. 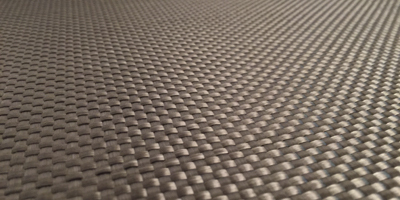 Also basalt fabrics can be used as basics when producing soft and rigid roofing. Basalt fabrics for electro technical purposes are used as a base for the production of insulation materials. These materials are employed in the production of substances for printed circuit boards for electronics and electrical engineering. These have superior properties to similar conventional components made of fiberglass. General-purpose fabrics are useful, for example in fire feltings for suppression of extremely complex fires resulting from ignition of highly flammable liquids, in particular gasoline. The employments of incombustible basalt fabric inserts in industrial ventilators increase their fire safety as well as the fire resistance of ventilating systems. The cost of basalt fabrics is considerable lower than that of similar materials. The non-combustible properties of basalt woven materials enable it to resist flames for long periods that make basalt tapes effective as an extra fine resistant insulation for electrical cables and underground ducts. Basalt-fabrics hoses may be useful for reinforcing cables, repairing the interior and exterior of tubes and pipelines. Most fabrics are made by weaving or knitting yarns together. Non-woven fabrics are made by bonding or felting fibers together. A fabric's appearance, properties and end-use can be affected by the way it was constructed. Advanced Basalt Fiber Fabrics have specific proprieties and can be moulded with other fabrics to get the exact result you need in the process applications below: Click on process to know more about. Plain woven fabrics are generally the least pliable, but they are also the most stable. In the plain weave each warp fibre passes alternately under and over each weft fibre. The fabric is symmetrical, with good stability and reasonable porosity. However, it is the most difficult of the weaves to drape, and the high level of fibre crimp imparts relatively low mechanical properties compared with the other weave styles. With large fibres (high Tex) this weave style gives excessive crimp and therefore it tends not to be used for very heavy fabrics. As you can see in the Stitch Zoom, is easy to recognize the plain weave by the squares that are formed by the fabrics overlapping each other. A twill weave is a basic weave characterized by a diagonal rib, or twill line. Each end floats over at least two or more consecutive picks enabling a greater number of yarns per unit area than a plain weave, while not losing a great deal of fabric stability. This type of fabric looks different on one side than on the other. In the twill weave each warp fiber passes alternately under and over each weft fiber. The fabric is symmetrical, with good stability and reasonable porosity. However, it is the most difficult of the weaves to drape, and the high level of fiber crimp imparts relatively low mechanical properties compared with the other weave styles. With large fibers (high Tex) this weave style gives excessive crimp and therefore it tends not to be used for very heavy fabrics. As you can see in the Stitch Zoom, is easy to recognize the twill weave by the stairs that are formed by the fabrics overlapping each other. The biaxial fabric (0° & 90°) made by stitching two layers are different from woven fabric (0° & 90°). The stitched biaxial fabrics are non-crimp fabrics, which means rovings won't be interlaced as woven fabric. 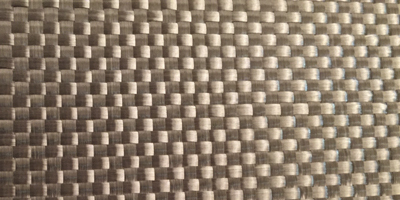 Woven fabric composite tends to fail in high fatigue due to the crimp. This stitched bidirectional fabric avoid the problem and provides excellent fatigue resistance. 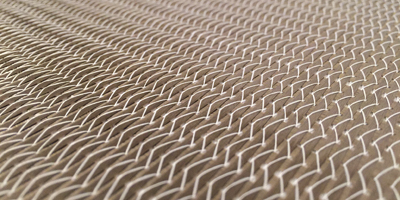 The crimp in a woven fabric also has a tendency to straighten itself out under load, reducing the stiffness or modulus. 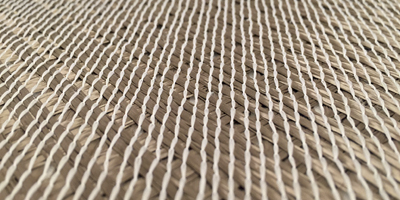 Another disadvantage of woven cloth is bumps, or high point that naturally come from the weave. When the laminate is laid up in the mold and the resin is rolled out or squeegees, these high point are damaged and fibers are broken. Further more, when the surface is finished, it has to be sanded, which again damages these high points and fiber bundles. Biaxial tends to have fewer high points and therefore is damaged less in building process.Our cloth is what's know as a double bias +45°/-45°. What that means is that the fibers are rotated on a 45° angle from vertical and horizontal. The straight, flat paths of fiber bundles in biaxial leads to greater strength and stiffness. By putting down straight, flat fibers, directly in line with loading forces, the fibers will resist stretching and breaking immediately and with 100% of their strength. 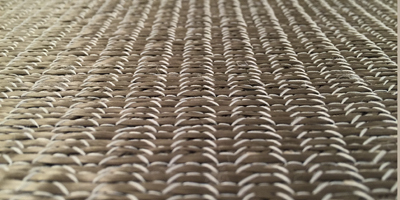 Biaxial also tends to have a higher fiber count than woven. This has three advantages. First, more fibers means greater strength. Second, higher fiber concentration means less matrix (resin) and therefore far less brittle laminate. Third, less matrix (resin) means less weight. So in addition to the fundamental physical advantages of biaxial, we get the secondary advantages greater fiber content, greater impact resistance and lower weight. 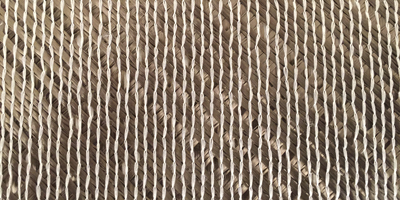 By contrast, the crimping of the fiber bundles in woven cloth leads to stress differentials in the fiber bundles and a lower overall strength. 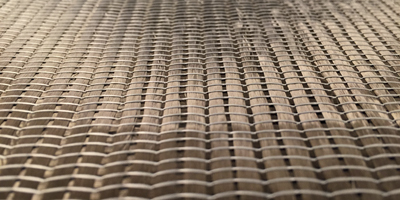 When fibers are bent (as they are in woven cloth) they tend to fracture, weakening the composite. As you can see in the Stitch Zoom, the bi-axial have two directions sizes interlaced by a stitch line. Tri-axial fabrics are a three layer construction fabric, there are two styles in tri-axial one has a fiber orientation of (+45°/90°/-45°) and the other has a fiber orientation of (0°/+45°/-45°). 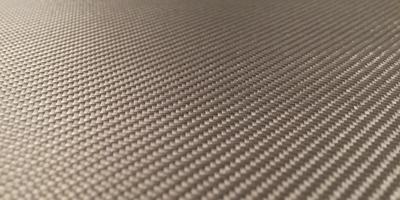 Tri-axial fabrics are used for high strength application and this fabric can be produced with the maximum density of 3000 gsm. 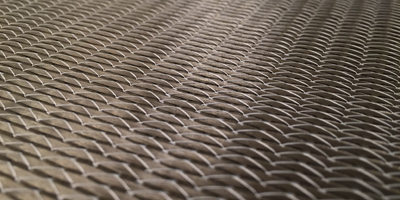 This three layer fabric has Basfiber® rovings laid down parallel in the - 45°, + 45° and 0° or 90° axis. The 0° or 90° axis generally contains approximately 30 % of the fibre content, but is also available with 50 % of fibre content in this direction. 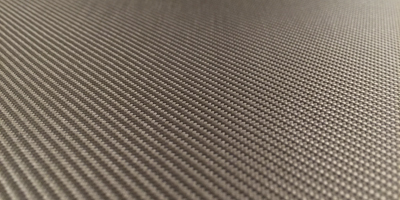 Lightweight stitching holds these fibres together and parallel in each layer. This stitching is non-structural. As you can see in the Stitch Zoom, the tri-axial fabric present different aspect from one side and another.